Have you... ever laid on the grass under a shade tree, looking skyward, wondering how peaceful and serene it would be, floating along like one of those big white clouds. NOW YOU CAN! 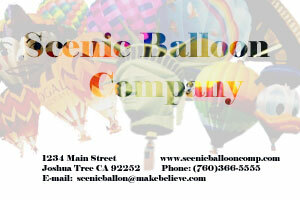 Let The Scenic Balloon Company be your ticket to that dream come true. 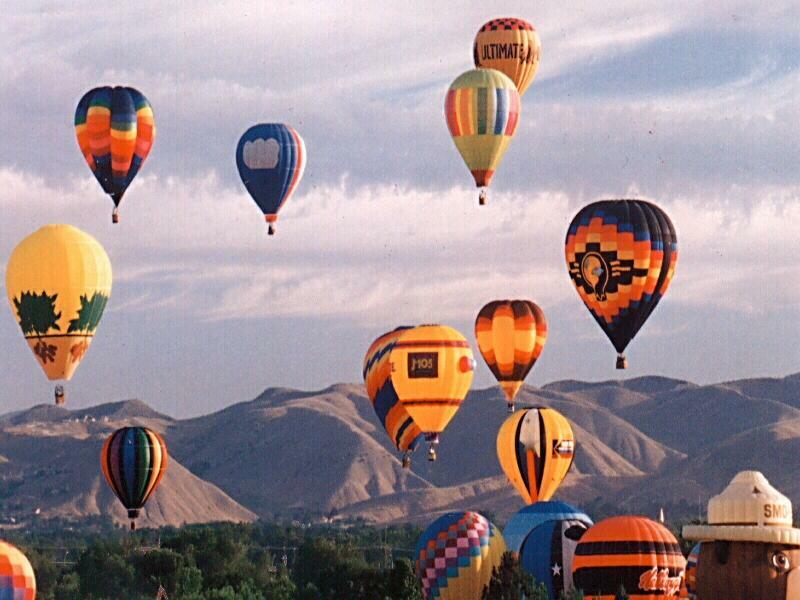 Your safety and enjoyment of your ballooning experience is Our pilots #1 Priority. Come fly with our experienced pilots, who all have perfect safety records. Our equipment is new and certified by the FAA. Launch from Joshua Tree Airport. Launch from Yucca Valley Airport. Both trips last approximately 1 hour. Launch is scheduled for sunrise. Depending on winds aloft we may go north,east, south or west. Whichever direction we go it is a beautiful flight. *Flights are 7 days a week, all year, weather permitting. 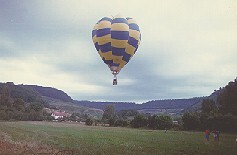 *Opportunity for you to take part in the inflation of the balloon. *Remember to bring your camera and lots of film! Cost: Costs Vary but generally begin at $165.00 per person. 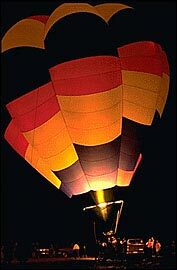 WE CAN TAKE CARE OF YOUR SPECIAL OCCASION NEEDS WITH ONE OF OUR BALLOON RIDE PACKAGES. WE WILL WORK WITH YOU TO MAKE YOUR WEDDING A TRULY MEMORABLE EXPERIENCE. AND A PACKAGE TO FIT YOUR BUDGET.